Home→Tools You Need→Which Garage Tools Do I Need? Which Garage Tools Do I Need? Bodywork repair unfortunately involves lots of physical work - hard work which may include sore fingers, cuts and grazes, not to mention aching muscles! Choose the most suitable garage tools to make life easier. Most automotive repair shops will has access to a large range of compressed air or electric garage tools which can speed up the workflow, and it is usually possible to find tools for almost any type of repair. Here are some of the most popular. Available quite cheaply as air or electric powered. 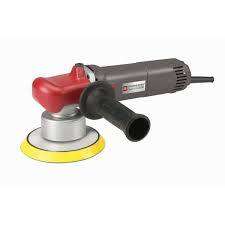 High speed rotary sanding using abrasive fibre backed disks or solid grinding/cutting disks. Very useful for rough sanding, e.g. removing rust and paint before bodyfiller or finer sanding. 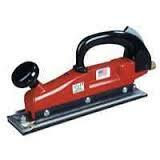 Speeds up initial preparation work immensely, but not intended or suitable for overall sanding or final finishing. Air powered sanders which are available cheaply are usually as copies of more expensive brands. Electric powered models also available, but these tend to be much more expensive. 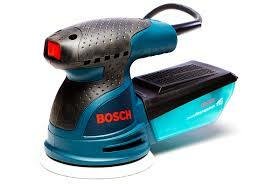 The sanding pad rotates at high speed, but also oscillates in small orbits at the same time. 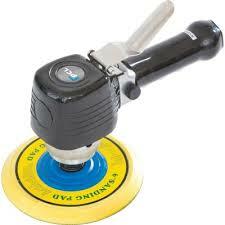 This produces a much finer 'cross-cut' sanding effect, using self-adhesive or velcro abrasive disks. Usually air powered, these sanders use a reciprocating piston power unit to move the sanding pad backwards and forwards at high speed. 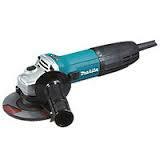 Mainly used for rapid shaping of large areas of bodyfiller, less useful for other general sanding jobs. 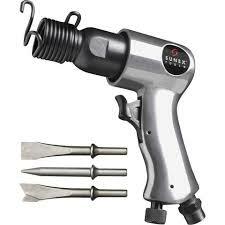 Cheap to buy, and a very handy addition to any garage tools assortment. Most kits come with general purpose attachments for metal cutting, plus hammer attachments ideal for troublesome ball joint tapers, track rod ends etc. Whichever model you choose, remember to use an air-cap setup which matches (or is below) the usable air supply provided by your compressor.